Wabi House was so good the first time, I had to go back for seconds! I tried all new dishes this time around that I'm sharing with y'all today. 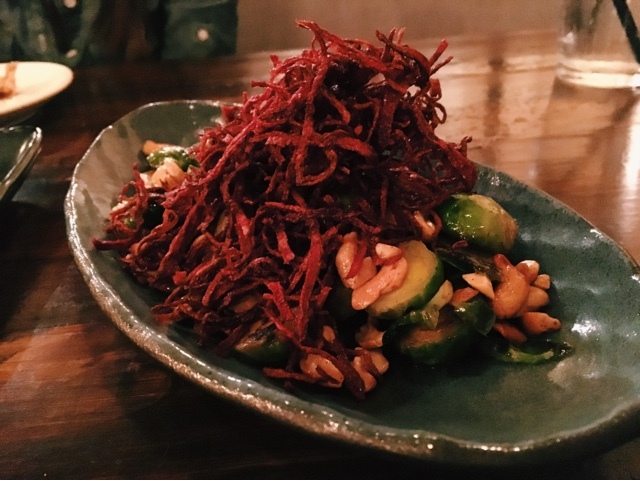 I was dying to try this dish after seeing it on the menu during my first visit. I mean, who could say no to applewood bacon?! It is only available for dinner, so I was stoked that I was able to order it this time! What I didn't realize was that they serve the broth separately from the ramen for this particular entree. It turns out Tsukemen is actually a traditional Japanese noodle dish which is eaten by dipping the ramen in a separate bowl of soup. Bottomline--not a fan. This is partially due to the fact that I didn't enjoy eating it Tsukemen style and partially because the flavor just wasn't there for me. 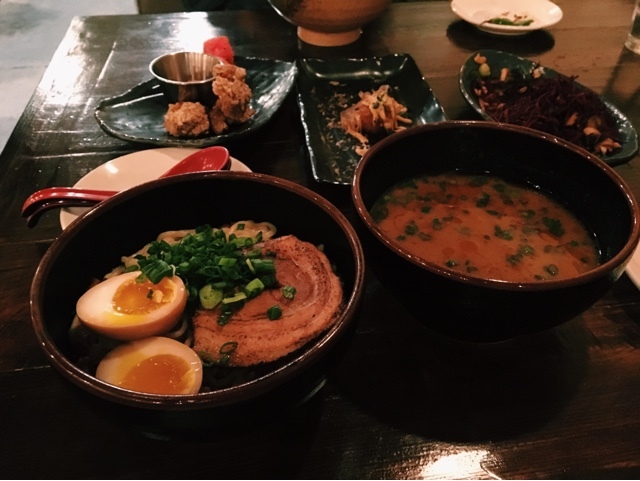 Tonkotsu will continue to be my go-to here. I loved the contrasts of textures and flavors used on this small plate. 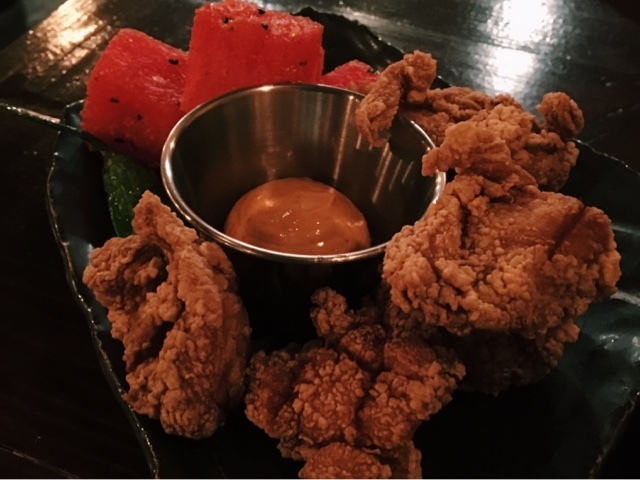 Fried chicken and watermelon? Who would've thought to pair the two together? I normally like a little crunch to my brussel sprouts, and these were completely soggy. I didn't care too much for this small plate and wouldn't recommend it. My favorite of the night! I loved the sauce drizzled atop the fried octopus. This was my first time trying this type of dish, and I am told that Mr. Max in Irving has the BEST Takoyaki. I've never been, but it's definitely now at the top of my list! Stay tuned for more details on what I find out! 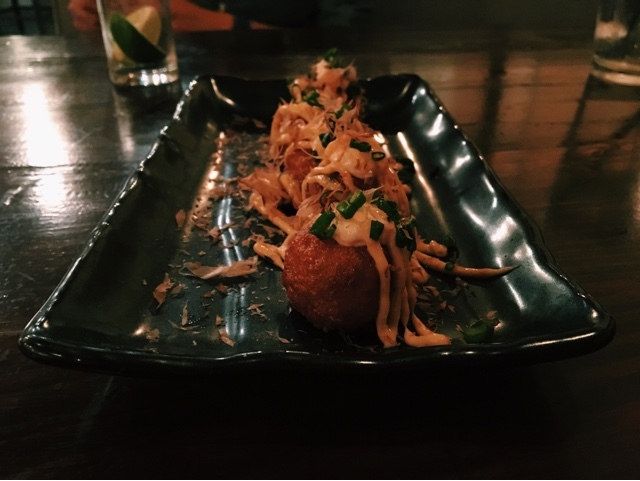 If you've tried any of their other small plates, comment your favorites below!